The Micro is a small 2.5-5 liter tankbag. 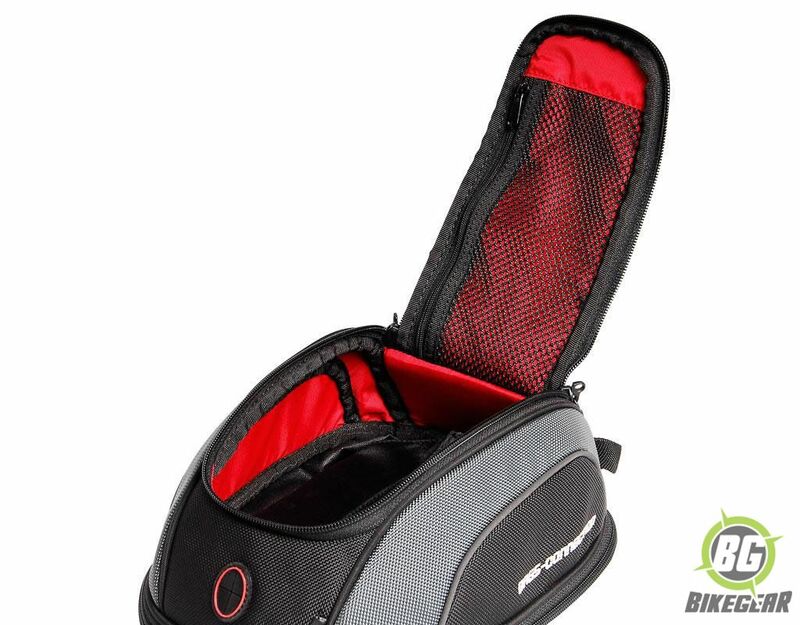 Fits most bikes and is an excellent around town bag. 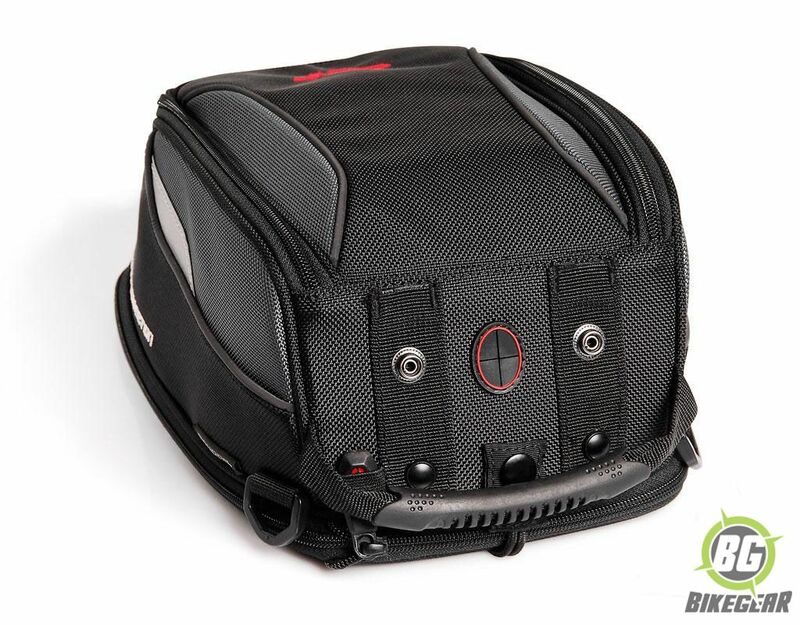 The SW-MOTECH QUICK-LOCK tankbag system enables the tank bag to be mounted or removed easily without the use of straps or magnets that may damage your motorcycle’s finish. 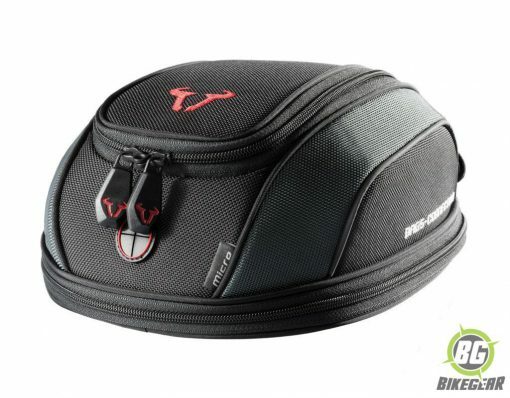 The system includes the tankbag and a upper tankring (excludes bike model specific tank ring that can be found here). Once the system is assembled, the tankbag can be snapped securely into place or removed by pulling a release lanyard at the front of the tankbag. For your specific Quick-Lock tank socket simply count the number of screws on your fuel cap and refer to the tank ring page by clicking on the button below. 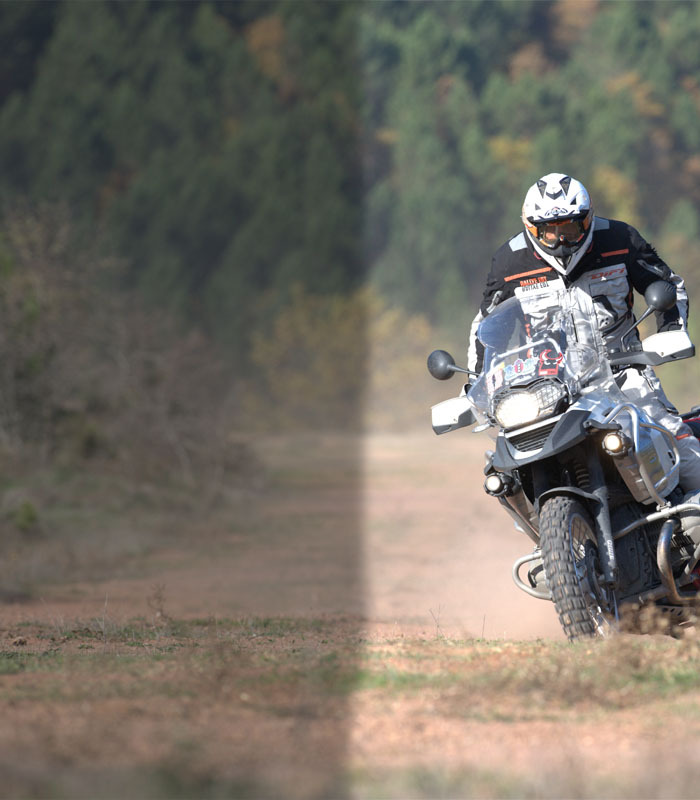 Please note that the BMW 1200 GS and GS1200 Adventure from model year 2008 does not have screws in the fuel filler cap. However, there is an adapter that allows use of the Quicklock tank ring system e.g. City or GS Quicklock tank-bags. Dimensions: L 265 mm x W 208 mm x H 108 mm. Easily removed for gas fill ups. – Quick-Lock Non-Electric Top-ring (excludes model specific bottom tank-ring that can be found here).